Off Marathalli ORR, Panathur Varthur Road, Panathur, Bangalore - 560103, Karnataka, India. 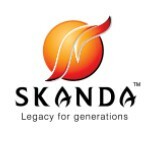 Skanda has committed itself to the transformation of valuable resources into living experiences. Skanda has created the international quality shelters with an array of facilities in an eco - friendly environment. Skanda’s customers focused offerings and the rich experience of its founder had given it an edge in a niche market.